Notice: This tree cannot be shipped to Arizona, California, Florida or Texas due to USDA regulations. Imagine if you could grow your own special lemons, not so sour and much juicier than those you buy in the store . . . well you can – even if you live in a cold place! 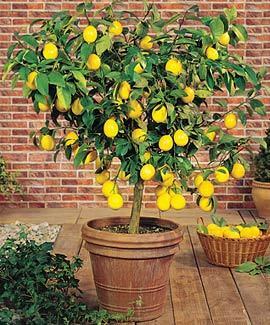 The Meyer Lemon is the ideal tree to grow in a pot and overwinter indoors. It will only grow 6 – 8 feet tall and will thrive for many years in a pot. The fruit is deeper in color, juicer and a little sweeter than common lemons, making it ideal for homemade lemonade, lemon desserts and homemade sorbets. 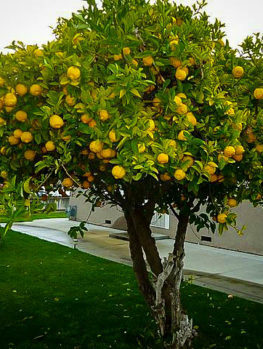 Your tree will flower and fruit even when young and has scented white flowers in spring and the round, deep yellow lemons are ripe from November to March. 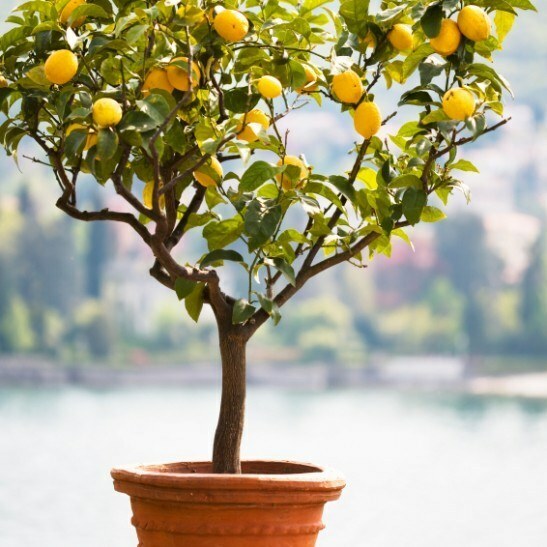 If you are fortunate to live in a warm area, this tree will of course also grow well outdoors, but the good news is that for almost everyone, the Meyer Lemon brings the ability to grow your own citrus into every home, no matter where you live. This easy-to-grow miniature tree will bloom and fruit in a pot and thrive if grown indoors in winter and outdoors in summer. Citrus trees, with their golden fruits, scented flowers and rich, evergreen glossy green leaves, are a symbol of warm, southern places. 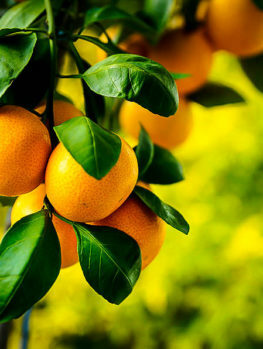 If you live in such a place then you can grow citrus outdoors, but many develop into large trees, so if you have a smaller garden you need to grow a citrus that remains small. The Meyer Lemon is the ideal choice for this. It reaches only 10 feet and can be kept pruned to stay even smaller, so it will fit into any garden. If you live in cooler zones, citrus have been just a dream, but with the Meyer Lemon you can grow your own beautiful lemons, full of healthy vitamins and exciting flavor, in a pot which can be brought inside or onto a sheltered porch in winter. So in the garden or in a pot, the Meyer Lemon is a wonderful addition to your garden and a beautiful sight to see whether full of richly-perfumed flowers or laden with golden-yellow fruits. The Meyer Lemon grows in almost all kinds of soil as long as they are not wet for long periods. Established trees will tolerate hot, dry weather, but should be watered during extended dry periods. They are subject to some pests, but these rarely develop into serious problems, as the Meyer Lemon is tougher than many other kinds of citrus. Frank Meyer was an official ‘agricultural plant explorer’, for the US Department of Agriculture, who spent from 1905 to 1918 traveling in China and collecting new plants to introduce into America. In all he collected over 2,000 plants, but perhaps his most famous introduction in the Meyer Lemon (Citrus x meyeri). 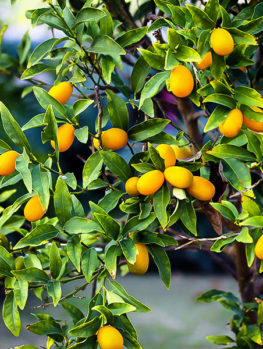 This plant was widely grown in China as an ornamental pot-plant and is thought to be a cross between a lemon and a mandarin orange. It has a distinct flavor, being sweeter and less acidic than common lemons and with a deep yellow flesh. The fruit is more rounded and yellower than a normal lemon, with a thin skin and so a greater volume of juice. 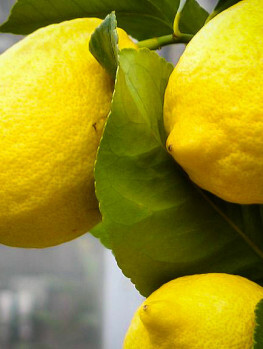 The Meyer Lemon grows into a shrub or small tree, between 6 and 10 feet tall and 4 to 6 feet wide, so it is an ideal specimen to grow in a large pot to decorate a terrace, or in the ground in a smaller garden or yard. It can be pruned into a tree form, and the height and spread are easily controlled by pruning. The leaves are oval in shape, evergreen, glossy and dark green in color. Flowering happens in spring, with beautiful, white, richly-scented flowers that will fill your porch or garden with a sweet perfume. 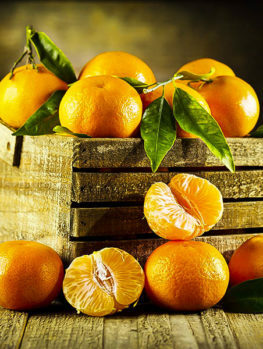 The fruits develop slowly over summer and are ready to pick during the winter months, from November to March, when the summery lemon flavor can be used in drinks, cakes, cookies or desserts. Your Meyer Lemon can be grown in the ground in zones 9 to 11. 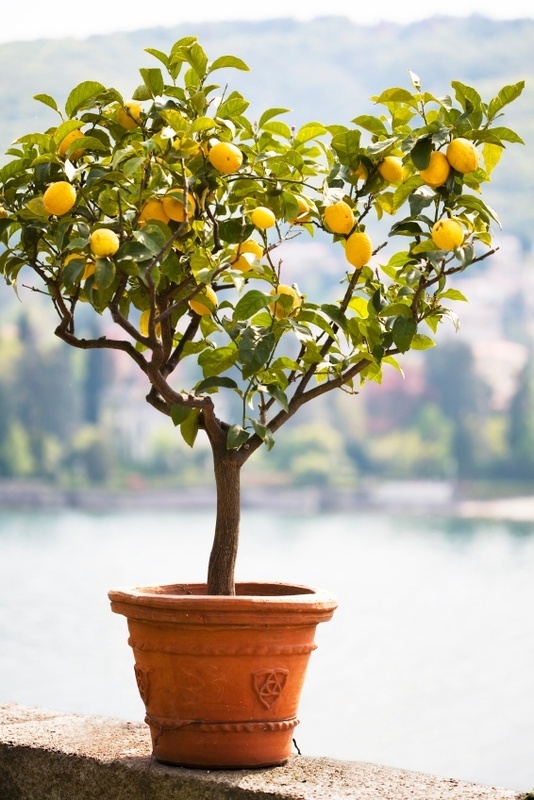 Like all citrus trees it does best in full sun, in soil with some organic material like compost or peat-moss in it. It prefers to be in temperatures above 50oF, but the great thing about the Meyer Lemon is how easily it can be grown in a pot and then brought inside. So, no matter where you live in America, you can own a Meyer Lemon and enjoy its beauty and special fruits. Bring your tree inside when the weather turns cooler and place it in a sunny spot. Keep it watered, but let the soil dry a little between watering. In spring when the weather is warmer, take your tree outside during the day and bring it in at night if the temperature is going to be below 50o. When the night temperatures are warm enough leave it out continuously until the fall. Meyer Lemon is such a special plant that only the exact plant will do. So it must be produced directly from trees known to be the right variety. Our trees are grown the correct way, from stem cuttings of these special trees. That way every tree is identical to the original. However these take longer to produce, so avoid cheaper trees that will only be a disappointment. Due to disease problems, the original Meyer Lemon has been replaced with a more disease-resistant ‘Improved Meyer Lemon’, which is the form we will send you. That way you will have no need to be concerned about diseases with your tree. Your Meyer Lemon is easy to plant. Just dig a hole two or three times wider than the pot and a little deeper. Place your plants in the hole, replace most of the soil and firm it well down. Fill the hole with water and when it has drained away replace the rest of the soil. In pots, choose a large pot and use a standard potting soil. The Meyer Lemon does best in full sun, but a little shade for a few hours is usually acceptable. The soil should be allowed to get almost completely dry between watering and in the ground it will tolerate some dryness. Make sure plants in pots do not become completely dry. 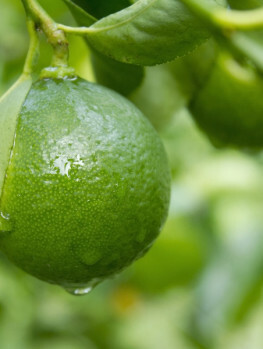 Use a citrus fertilizer in spring and summer. Some forms are slow-release and only need one application a season. 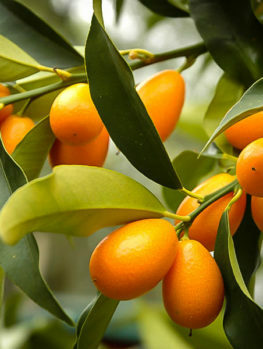 These fertilizers are designed to encourage fruit production and keep your Meyer Lemon from growing too large. Prune away any shoots from the bottom if you are growing as a tree, and trim back long branches, but detailed pruning is not necessary.